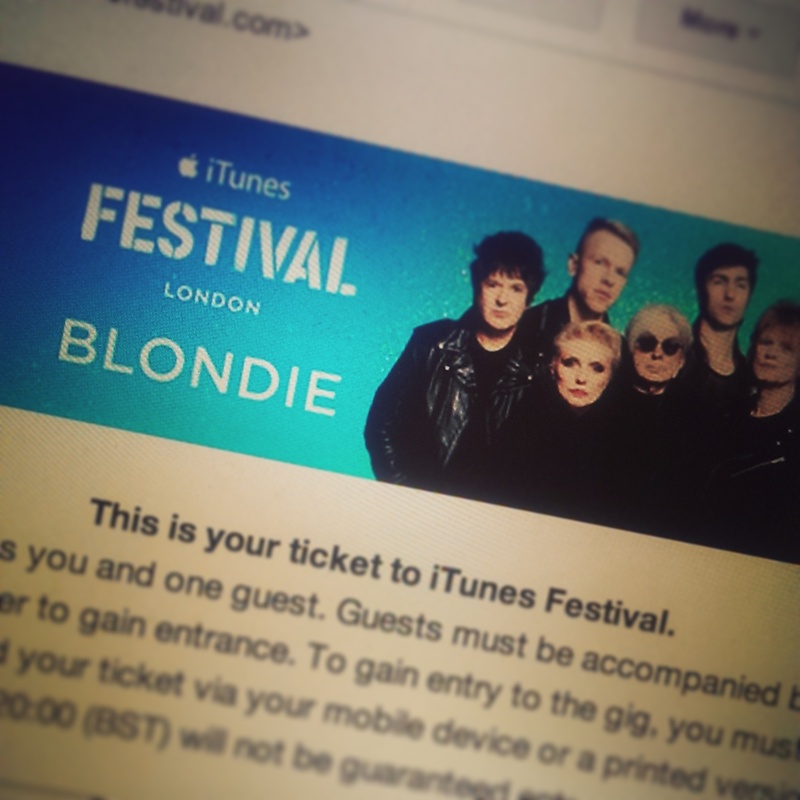 September isn’t too far away and tonight I found out I’ve got a pair of tickets to see Blondie at the iTunes Festival in Camden’s Roundhouse! Last year I went to see Avicii, which was a fantastic night out with two of my housemates and an old friend from University. I’ve invited Grace along and we’re both taking a half day to ensure we’re near the front. It should be an ace night out!